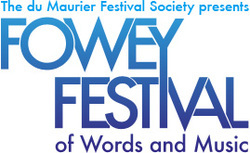 Talks, discussions, workshops, entertainment all in and around Fowey. 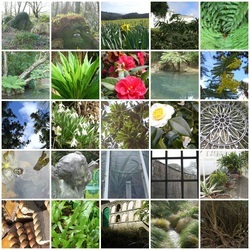 Including Du Maurier Day. 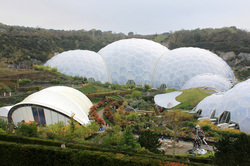 We built the Eden Project in Cornwall in a disused clay mine, transforming it into a rich, global garden where people can learn about nature and get inspiration about the world around them: join the fun here. The harbour village of Charlestown was a Georgian 'new town', a port development planned by local landowner Charles Rashleigh. 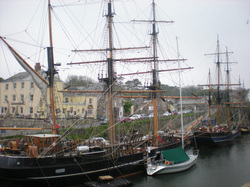 The harbour is the home port for a famous collection of old 'tall' ships which are employed in film projects all over the world.